Hambantota port has a long way to go before it worries competitors in Singapore, Malaysia, Middle East. Each year roughly 60,000 ships vital to the global economy sail through the Indian Ocean past a Chinese-operated port on the southern tip of Sri Lanka. Almost none of them stop to unload cargo. 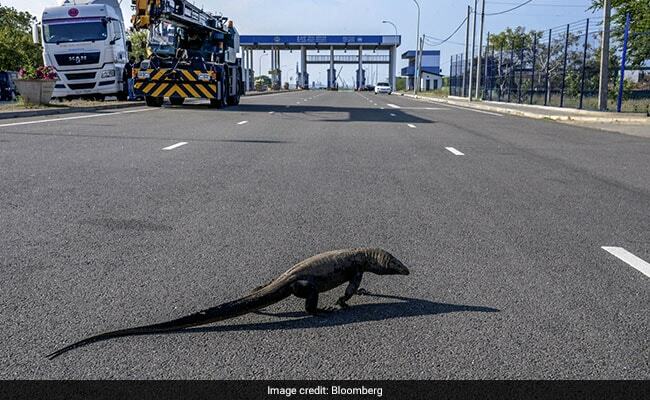 The eight-year-old Hambantota port -- with almost no container traffic and trampled fences that elephants traverse with ease -- has become a prime example of what can go wrong for countries involved in President Xi Jinping's "Belt and Road" trade and infrastructure initiative. Sri Lanka borrowed heavily to build the port, couldn't repay the loans, and then gave China a 99-year lease for debt relief. The experience has fueled fears that Xi's plans to finance more than $500 billion in projects could see China take control of strategic infrastructure that also has military uses. But the massive state-owned Chinese conglomerate that took over the port in December wants to prove the skeptics wrong. Maersk Line, the world's largest container carrier, is waiting for Hambantota's operator to offer a "firm value proposition" for clients. China Merchants Group -- whose 2017 revenues of $93 billion dwarf Sri Lanka's gross domestic product -- is aiming to use its experience stretching from China to Europe to make the port profitable. 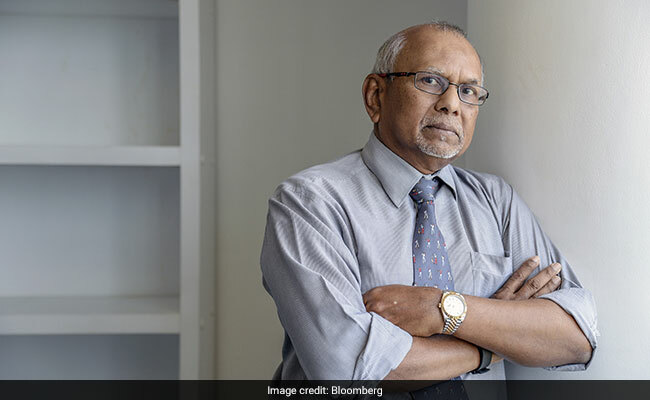 During a rare look inside the grounds late last month, executive Tissa Wickramasinghe told Bloomberg News it had already nearly doubled the number of ships visiting the port. 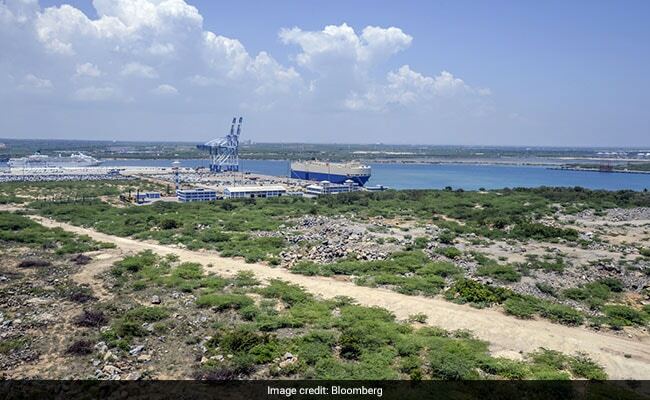 "We are hell bent on making it work," said Wickramasinghe, chief operating officer of Hambantota International Port Group, a joint venture led by China Merchants. "Whether the port should have been built, why it was built -- those are, to me, irrelevant now." Tissa Wickramasinghe said it had already nearly doubled the number of ships visiting the port. Still, the port has a long way to go before it worries competitors in Singapore, Malaysia and the Middle East. 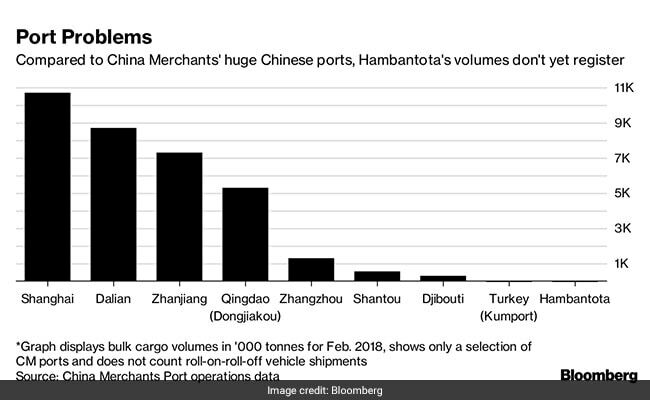 Even with more traffic, Hambantota is only handling about one ship a day -- not enough to even register on China Merchants' own data showing cargo handling volumes for February. It didn't make a United Nations' list of the world's top 40 container terminals. Major shipping lines now route cargo through Colombo, Sri Lanka's capital, and see little reason to divert operations south. Maersk Line, the world's largest container carrier, is waiting for Hambantota's operator to offer a "firm value proposition" for clients, according to Steve Felder, the company's managing director in South Asia. "It's too early to tell whether Hambantota will be of interest to us," Felder said. "Much will be dependent on connectivity within the mainline network, extent of domestic cargo, cost and productivity." The port's weak performance has fueled impressions that it simply serves China's broader strategic interests to secure crucial trade routes and international supply chains. It would take billions of dollars of investment to generate meaningful traffic, according to Rahul Kapoor, a Singapore-based shipping analyst with Bloomberg Intelligence. "Hambantota is a great example of the Chinese quest for global maritime dominance," Kapoor said. "For the foreseeable future, it remains a strategic push over commercial viability." From its earliest days, the port has spurred debate. 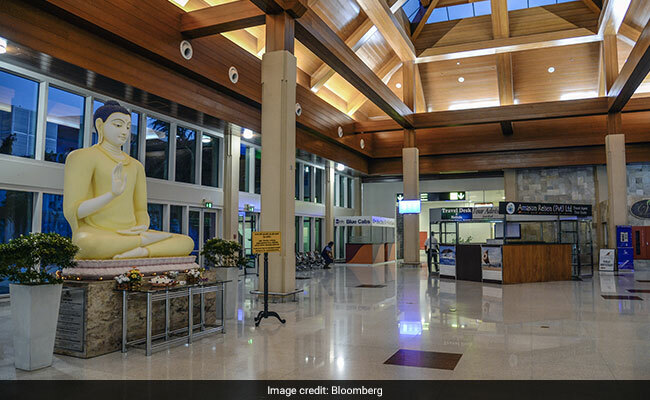 Former Sri Lankan President Mahinda Rajapaksa spearheaded the project, taking Chinese loans to shower goodies on his home district of Hambantota -- including a new international airport that still has just one daily scheduled flight. Plans are also afoot to build a logistics and industrial zone next to the Hambantota port. 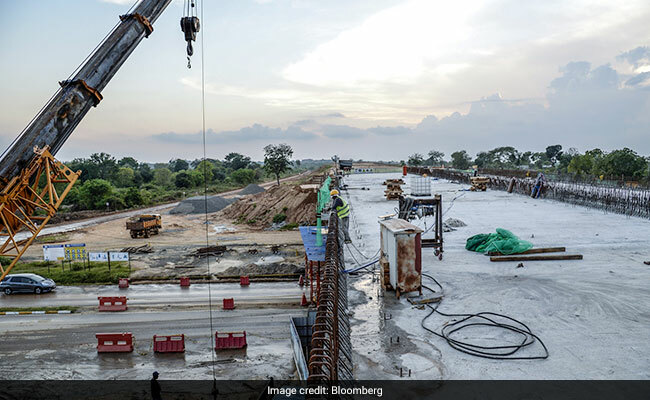 The current administration led by Prime Minister Ranil Wickremesinghe told Bloomberg News the $1.1 billion debt-to-equity swap with China Merchants helped ease "the Chinese part of the debt burden." Still the decision remains unpopular with many Sri Lankans. Ironically that's boosted the political fortunes of Rajapaksa, who lost a 2015 election in part due to concerns he was too cozy with China. On a recent afternoon at the port, vehicle traffic was nearly non-existent. A large monitor lizard meandered across the main road. A port executive shot a video with his iPhone of a Singaporean ship unloading cement into a smaller vessel, complaining that the process was taking too long. Yet for Hambantota, it was busy: Two other ships were also docked -- a cruise ship whose passengers were on a jungle safari and a vessel full of vehicles. "Today's a good day," said Wickramasinghe, the COO. To boost revenue, he plans to lure vehicle trans-shipments, refueling and oil storage services away from Singapore, the U.A.E. Port of Fujairah and Malaysia's Port Klang. The company could spend around $500 million on cranes to handle containers, and is speaking with "most of the oil majors" for oil bunkering and storage, he said. Plans are also afoot to build a logistics and industrial zone next to the port. The 11.5 square-kilometer (4.4 square-mile) area -- more than three times the size of New York's Central Park -- is now mostly jungle. Farmers nearby worry they could lose their ancestral land to proposed industrial zones. On a recent afternoon at the Hambantota port, vehicle traffic was nearly non-existent. "All the profits are going back to China," said Dharmasena Hettiarchchi, a 52-year-old farmer. The abundance of space allows Japanese and Europeans automakers to store vehicles for trans-shipments to South Africa and the Middle East, Wickramasinghe said. China Merchants plans to more than double the number of vehicle trans-shipments to 250,000 this year, he said, with 10 percent annual growth expected the next few years. Singapore now handles 1 million vehicle trans-shipments annually. "China Merchants doesn't go and dump money if it's not commercially viable," Wickramasinghe said. "It's definitely not political or military." China this week dismissed speculation that the Belt and Road Initiative had a military dimension, with foreign ministry spokeswoman Hua Chunying saying it was "open and transparent." Hambantota was mutually beneficial and would aid Sri Lanka's economy, she said. "For others who speculate, I believe they have no reason to do so," Hua said. Still, Sri Lanka relocated its southern naval command to Hambantota in part to ease Indian and Japanese worries, state minister of defence Ruwan Wijewardene said in an interview. "We've been speaking with them, and also with the Chinese," he said. "We've made it very clear that it can't be a military port." Wickramasinghe said it was normal for China Merchants to have a 99-year lease, citing a similar deal with the Port of Newcastle in Australia. Not everyone is convinced.